Manchester United are reportedly interested in signing the Paris Saint-Germain defender Serge Aurier this summer, according to French newspaper L’Equipe, as quoted by The Sun. The Red Devils have made an enquiry with the Ligue 1 giants about the possibility of signing the Ivory Coast international. The report adds that the 24-year-old is now unsure about his situation at Parc des Princes after the arrival of Dani Alves at the French capital this week. 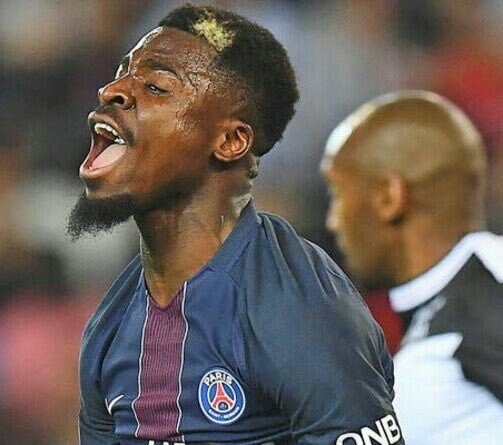 The likes of Barcelona and Tottenham Hotspur have also shown an interest in the right-back Aurier, who has made 32 appearances for the French side last term, and is regarded a key player in the PSG squad. Manchester United seeking a great addition to the defence department, and Aurier seems to be the ideal signing for the Old Trafford outfit for the upcoming season.